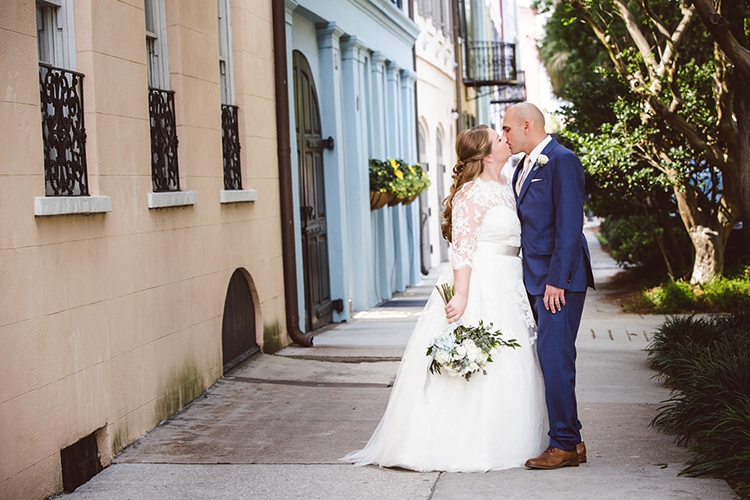 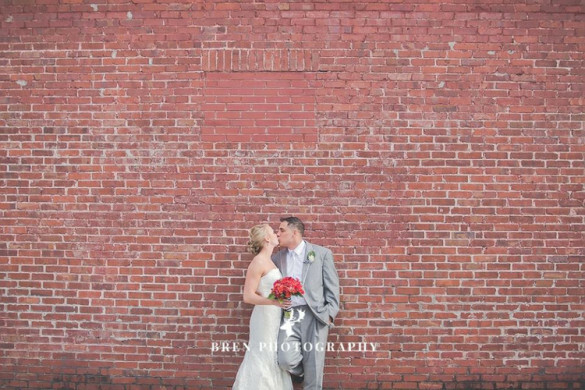 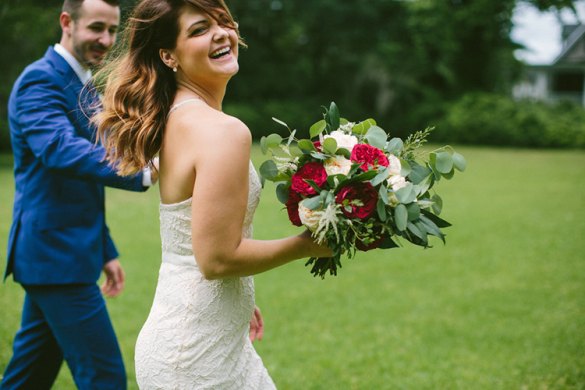 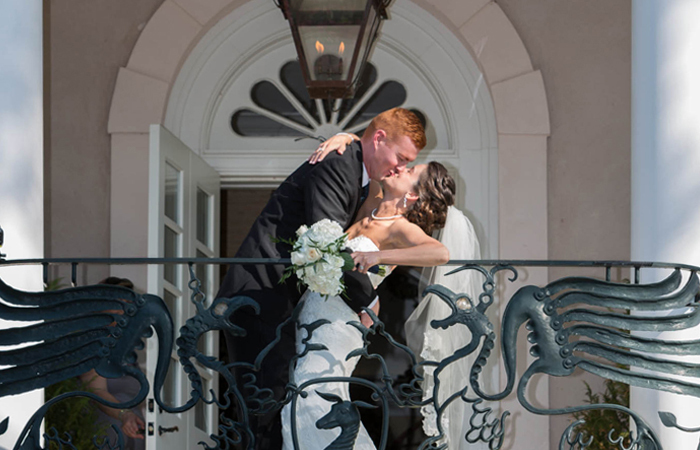 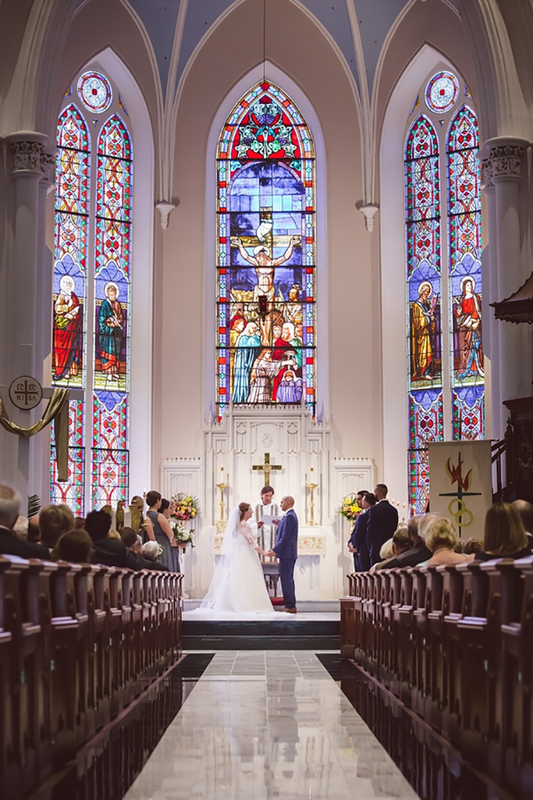 Sarah and Daniel wanted their wedding to be romantic, traditional, classic, and formal.They held their wedding ceremony at St. Matthews church in Downtown Charleston South Carolina. 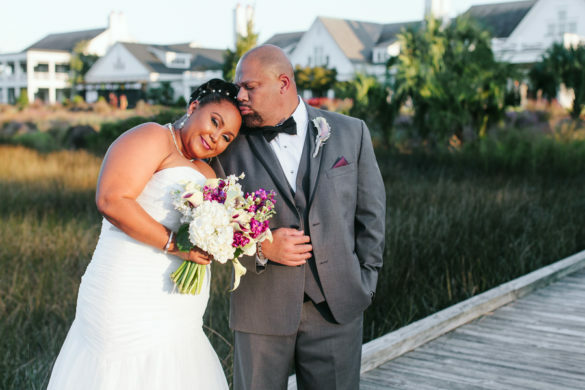 Sarah’s bouquet consisted of light blue hydrangea and white roses with freesia and lilac accents. 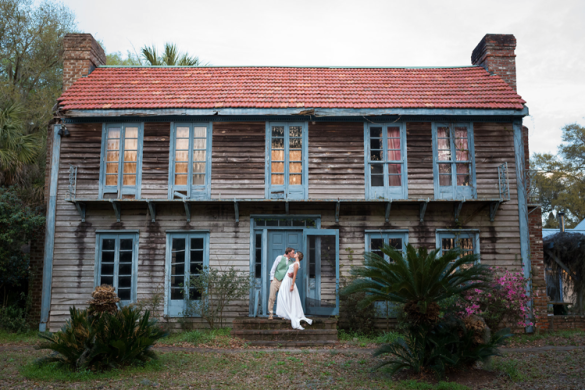 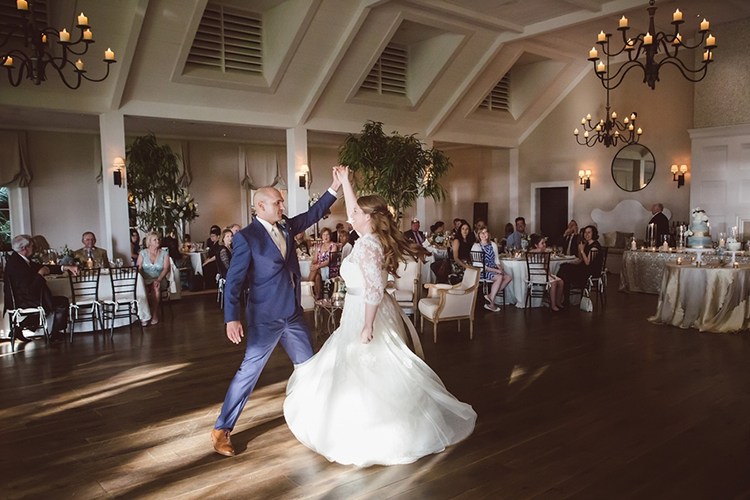 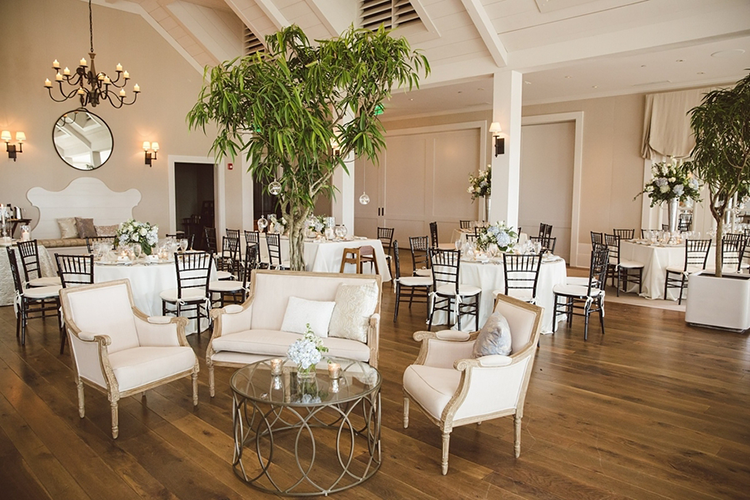 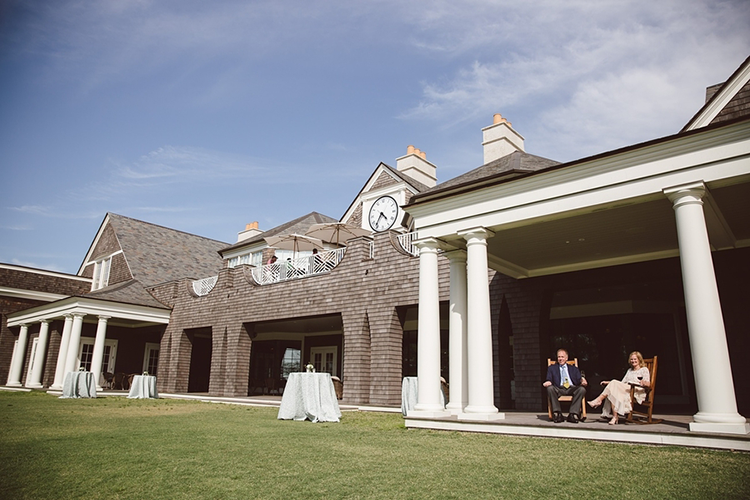 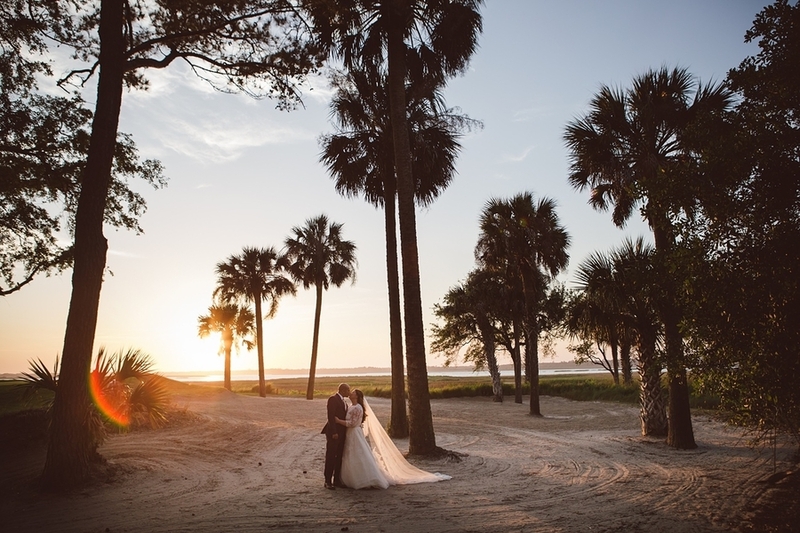 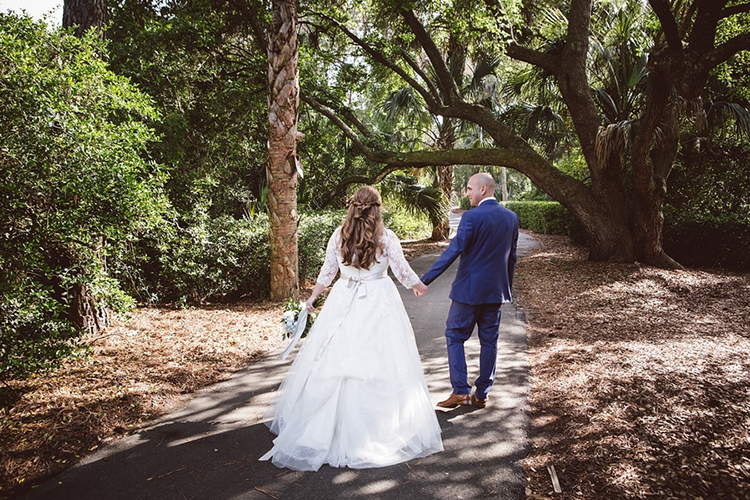 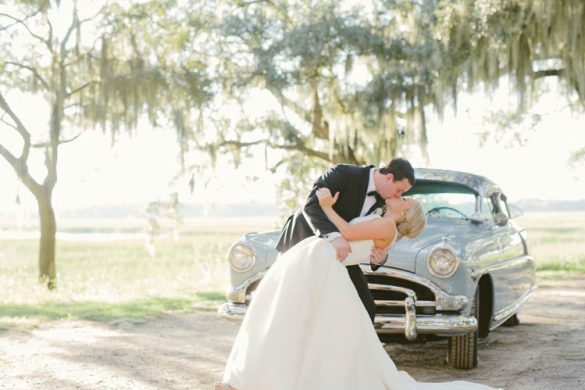 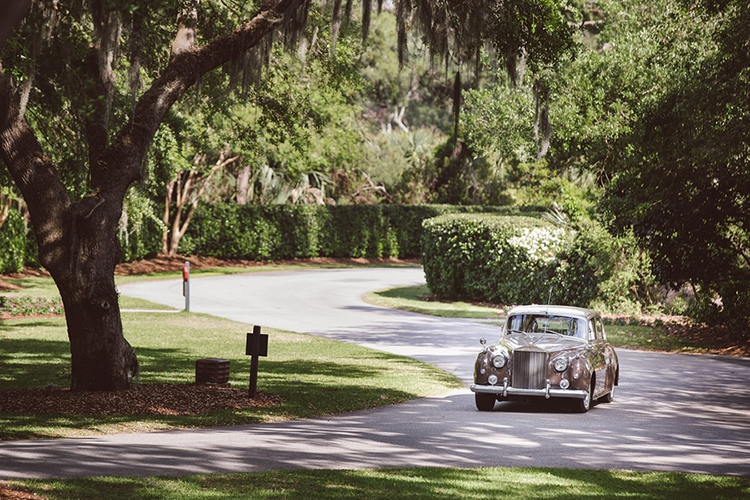 After their wedding ceremony, they hopped around a bit of downtown for some photos in classic Downtown Charleston and then headed over to meet their guests at the breathtaking River Course Clubhouse on Kiawah Island. 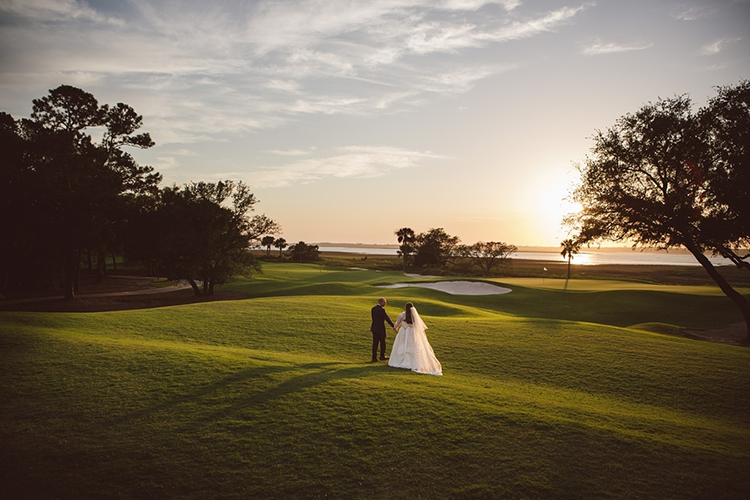 The Kiawah wedding reception commenced with cocktails and appetizers that overlooked 18th green as well as the Ashley River. 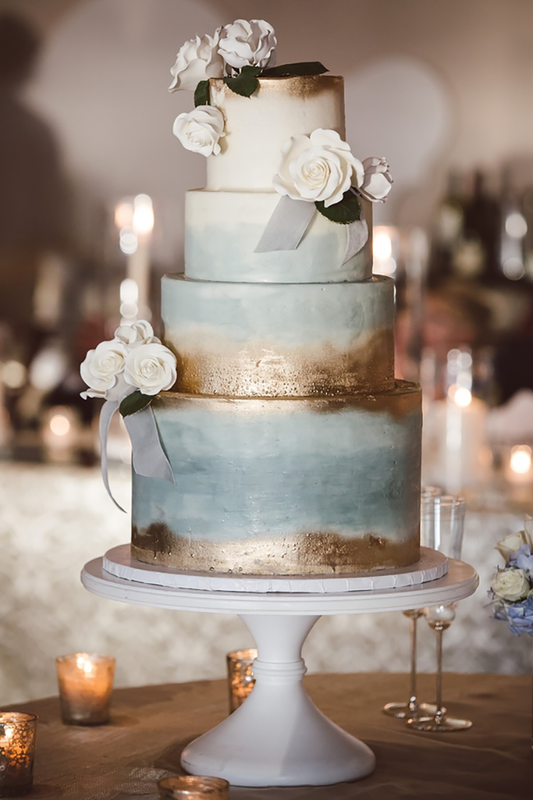 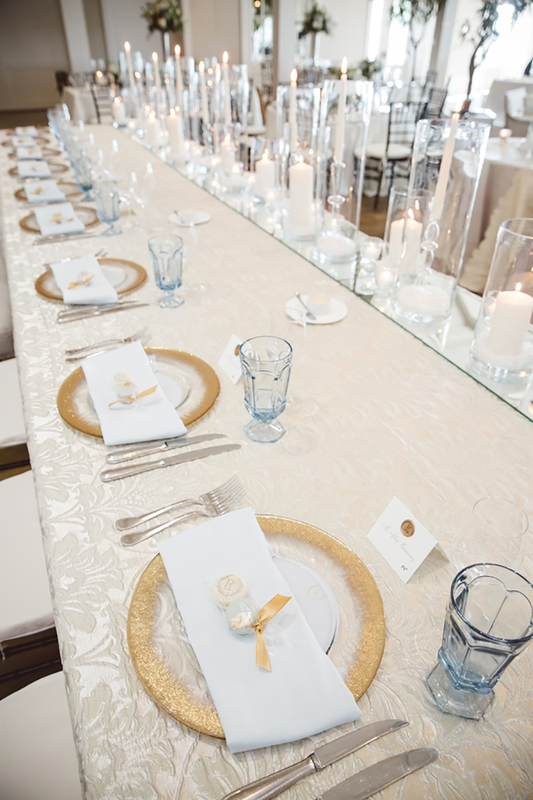 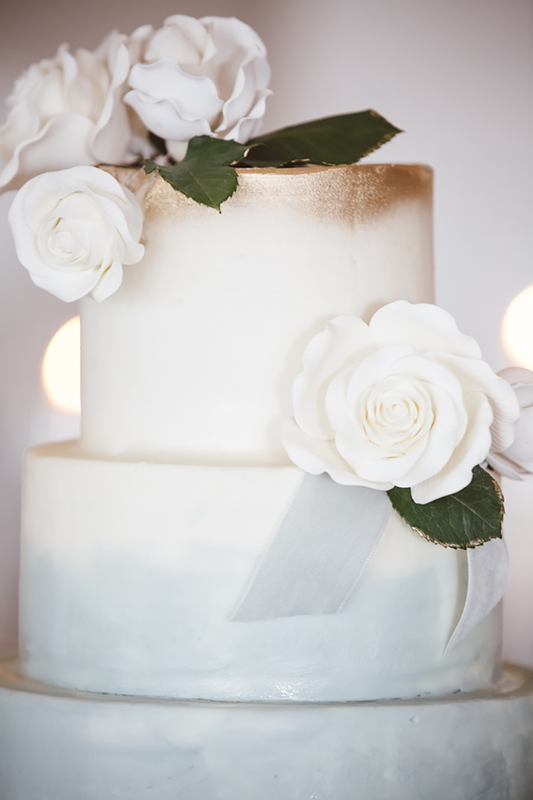 Touches of blues, grays and neutrals throughout their reception were breathtaking. 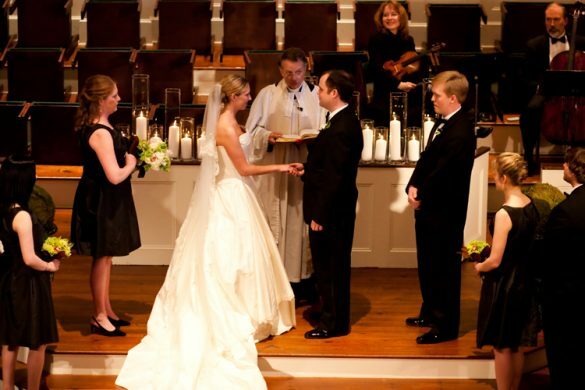 Candle light was very important for the romantic feel of the wedding as the bride and groom are avid candle collectors. 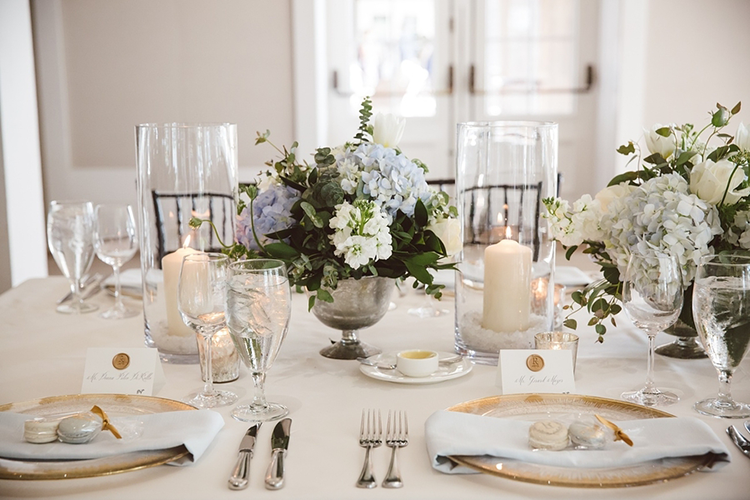 The reception floral designs consisted of mercury glass accents with primarily white flowers and a touch of blue hydrangea. 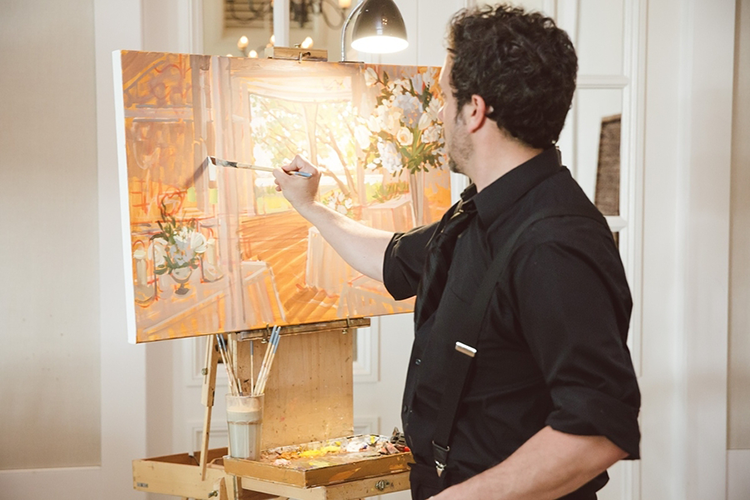 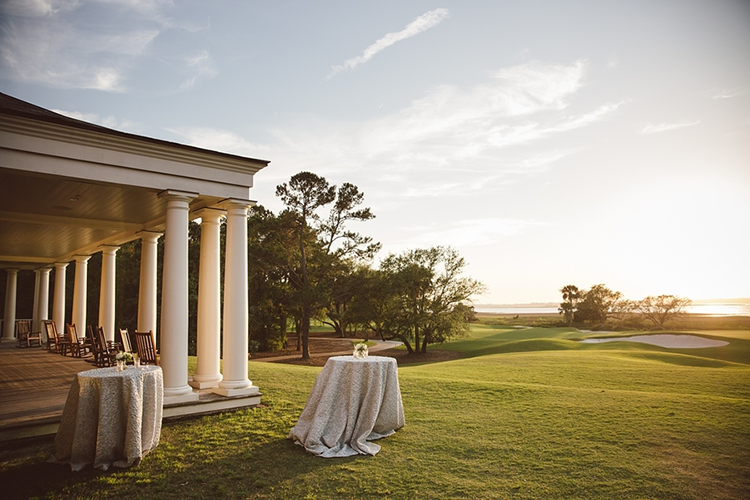 Guests enjoyed a delectable dinner from Kiawah Island Club’s river course clubhouse chefs. 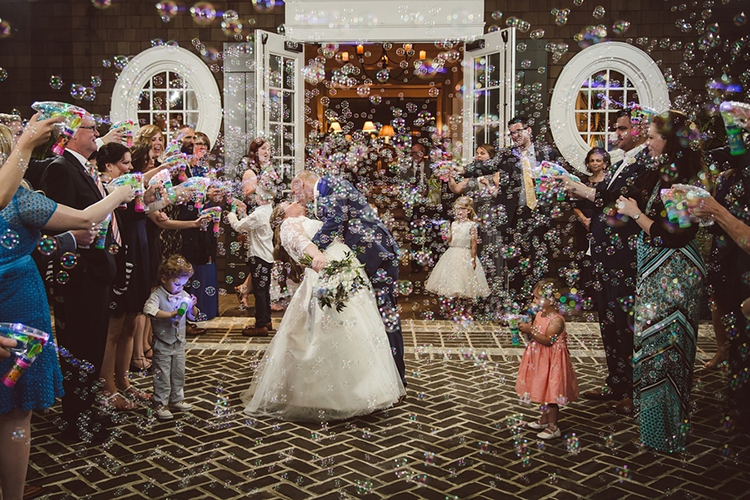 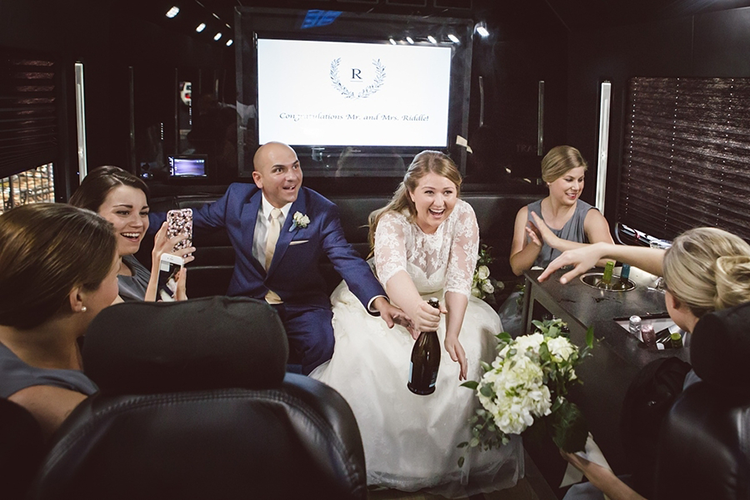 Before hopping into their Rolls Royce, the couple had a send off filled with bubbles!